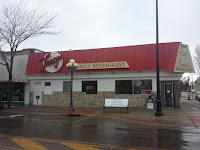 Tracy's Family Restaurant in Great Falls, Montana, isn't situated astride US 89. Nope. It's a few blocks off route. There are no remaining original old restaurants on US 89 in Great Falls. Tracy's is said to be the oldest diner in Great Falls so we're going to post it here as our Great Falls featured restaurant. Tracy's definitely meets all of the typical criteria for an old school US 89 diner. First, it started in 1952. Second, people say nothing's changed since then. Third, the food is Classic Diner fare. Fourth, it has most all its retro stuff intact. 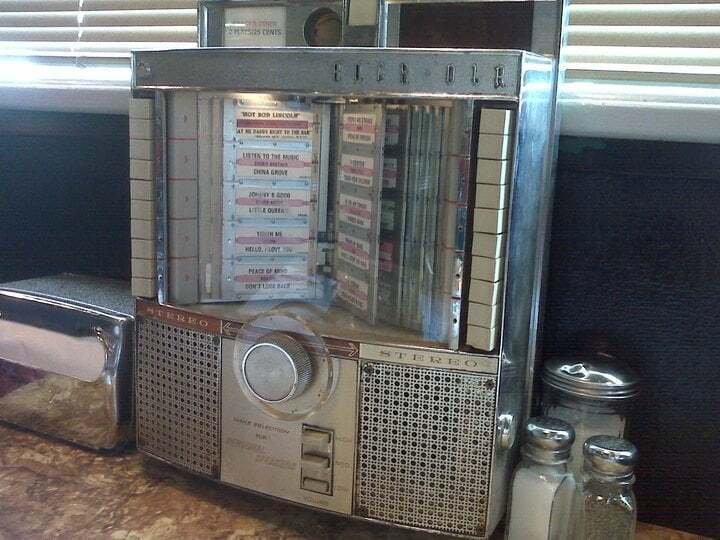 Here's how the owners describe their place: "Tracy's has been in business since 1952 now in our second generation of ownership Still have the old time juke box with wall boxes at each booth. Last of the real home style restaurants left in the state. We have been in business for over 50 years with 2 generation of ownership. Tracy's is downtown's only 24 hour restaurant serving snacks, shakes, sundaes, burgers, spaghetti, seafood, steaks, pork noodles and the best breakfast in town. We also have food to go. Our corner lot with an antique neon sign (50 years old) is a hot spot at night and hard for travelers to miss. We seat 90 people. Come as you are diner style eating." About half of the Yelp and Trip Advisor reviews are Excellent or Very Good. People who like Tracy's REALLY like Tracy's. And people who don't like Tracy's can be pretty harsh on the place. We chose snippets from various positive reviews to give you a feel for what to expect at Tracy's. 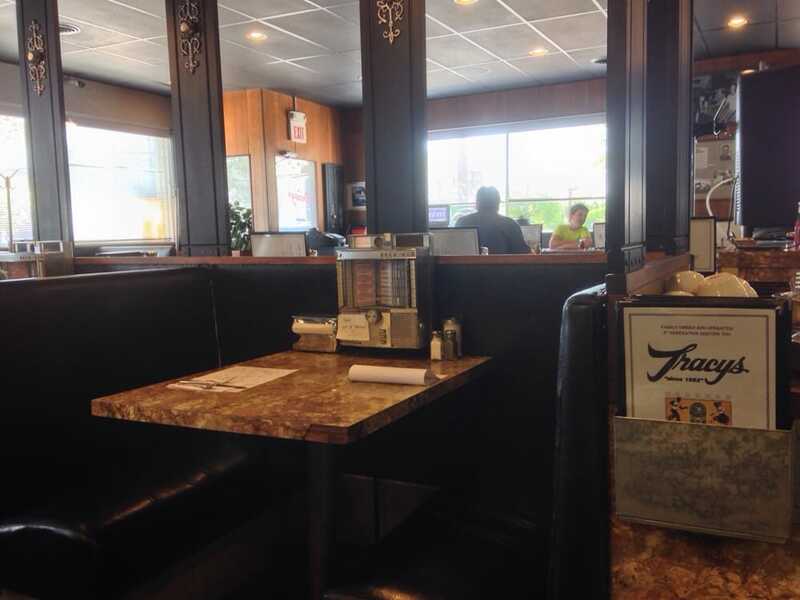 "Tracy's feels very familiar when you walk in, possibly because the restaurant, the menu and the staff haven't changed since 1955...built in 1952 and probably not updated much since then. Great breakfast, great service, good location." "From the old style water and fountain glasses to the juke box's in the booths, this is just a great piece of history with very good food and real atmosphere." "This is not some 5 star restaurant it is a 50's diner and is actually form the 50's not some made up place to look like the 50's. The food is typical diner food but that's just fine by me. The atmosphere is to die for. 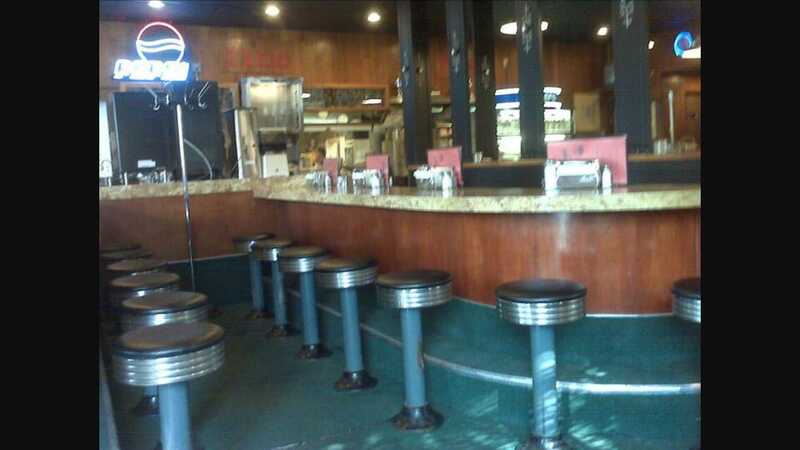 So many try to imitate a diner like this but this is the real deal. You need to go at least once in your lifetime just so you can see what it is like." "Loved the place. Classic 50's feel and taste. If you're looking for classic American diner fare, this is it. When you walk into this place it takes you back dozens of years. 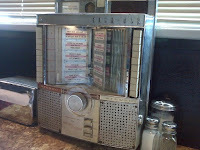 The decor is definitely old school diner and the ancient jukebox on every table looks great and still works." "We laughed to ourselves listening to why the last waitress was fired and listening to the cook argue with one of the current waitresses. This was definitely a dive of a diner." "A part of Great Falls history. no matter what time of day or night you drop in. but she deserves a rest. come by and enjoy a place that is timeless." 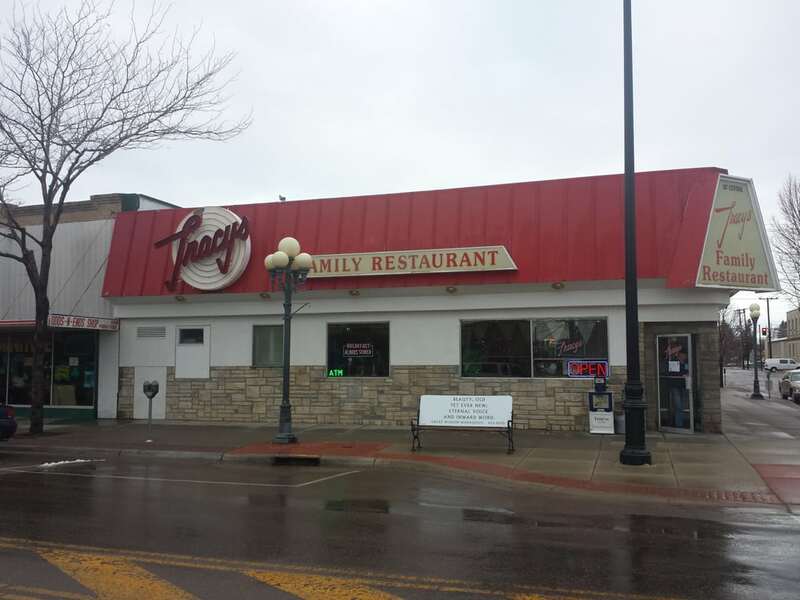 "Tracy's is a staple of downtown Great Falls and the perfect example of what a diner ought to be. It's welcoming, clean, cozy, and inexpensive--and the food is delicious! What a great spot to meet an old (or new) friend for breakfast and a good cup of coffee, and it is NOT pretentious like so many places nowadays. Keep it up, Tracy's!" Reviews for Tracy's Family Restaurant.